Download Festival 2018 saw a weekend of sun, alcohol (or not, depending on your preferences) and great bands and activities for everyone, including a visit from everyone’s favourite skeleton; The Nightmare Before Christmas’ Jack Skellington. Kicking off the Friday without the sun is Boston Manor. The Blackpool quartet had the honour and task of opening up the entire festival on the Lemmy Main Stage and they did not disappoint! While the production (or lack thereof) made them look too small for the stage, musically and performance wise, they made it their own, making use of the large stage. The quartet were energetic and this reflected on the crowd as Boston Manor powered through tracks including brand new single Halo and ending on Laika, kicking the festival off the right way with some entrancing punk. Miss May I hook you in from the very start of their Zippo Encore Stage set. They are brutal yet enchanting and there are circle pits throughout the crowd. Half the set takes the form of latest album Shadows Inside, including ending with the title track. Marmozets hit the Main Stage and while they put in a great performance, at times, the vocals were a bit off and the sound a bit sketchy. They commanded the stage well though and showed a lot of promise. Party king Andrew W.K. brought the party to the Zippo Encore Stage. The constant touring of late helped to hone the tight performance that would have slotted in well on the main stage. The PMA king ensured that everyone is having a great time before closing the set with a 60 second countdown and infectious hit single Party Hard. Up on the Dogtooth Stage, we are treated to one of the best sets of the weekend from Blessthefall. The American metalcorers open with Wishful Sinking from their recently released latest album Hard Feelings before heading into the most brutal of tracks on the aforementioned record; Cutthroat. Any criticism people in the crowd may have had with these tracks being ‘lighter’ or ‘more poppy’ is dispelled as live, they are as heavy as their predecessors. Frontman Beau Bokan is playful, constantly throwing or spitting water into the crowd and ‘borrowing’ one of the crowd members’ snapbacks before successfully returning it like a Frisbee. There is a huge sing-a-long to Hey Baby, Here’s That Song You Wanted and throughout the set, the band are tight and have great control over the crowd. Bullet For My Valentine give fans a treat on the Main Stage, the band are at home on the biggest stage and create a sing-a-long throughout the set. There is a good mix of old favourites including Scream Aim Fire and Tears Don’t Fall as well as newer anthems You Want A Battle (Here’s A War) and Worthless. Friday night headliners Avenged Sevenfold are quite disappointing and didn’t manage to catch my attention. There are some good riffs but the overall sound was not the best, a theme for the weekend on the Main Stage. Over on the Dogtooth Stage, TesseracT are on the opposite end of the headliner spectrum, the packed tent consistently chanting for the band before they take to the stage and during any moment of silence. The technical prowess of the quintet is second to none, with great riffs and a tight sound. The main issue with TesseracT’s set is that it is too short. 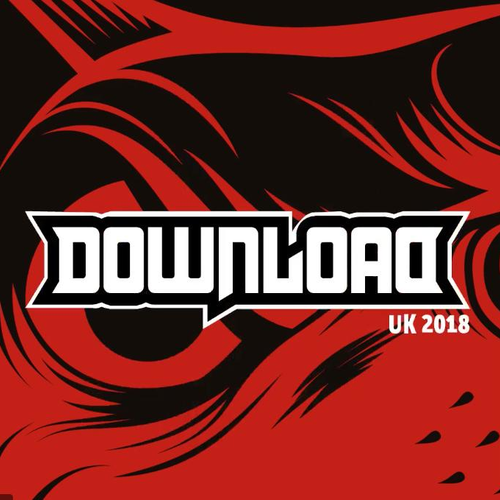 Download Festival, Festival, Live Review.